I don’t remember the song, but I remember the band, because how do you forget The Cranberries? Dolores O’Riordan’s voice might not have been the most classically beautiful (let’s be honest: she could only hit about three notes, and those not consistently), but there was so much heart behind it. The Irish band’s songs had been all over the radio for the last few years, and I had certainly heard them, but this is my first clear memory of their music. A year later, my dear friend Honey mailed me the first of what would be many mix tapes we made each other. I owe more of my present taste in music to Honey than to anyone else, and one of the songs she put on that first tape was Dreams by The Cranberries. From then on, we would both periodically include a Cranberries tune on our gifted mixes to each other. That continues now with the playlist I update for her every Friday morning. A January night of my senior year found my lying on my back in my bed, staring at the ceiling. I was an emotional wreck for much of high school, lonely and insecure and depressed. On this particular night, I was staring at the ceiling, wondering why I had so much trouble making and keeping friends. Was it me? Was it them? Was it this stupid town? I never really answered those questions (and to be hones, still wrestle with them sometimes), but I did find salve in good writing and good music. On this particular night, it was The Cranberries’ first and best album, Everybody Else Is Doing It, So Why Can’t We? I have many memories of The Cranberries and Doloroes O’Riordan, their weird and wonderful lead singer with the broken voice and an oft-broken heart. I’ve been listening to all my favorites tracks today in the wake of O’Riordan’s sudden death at 46, so many of them with images attached to them in my mind. They had a number of forgettable songs, and some that were just plain bad. But there was so much raw, unprotected emotion in their music, even when it didn’t work, and I adored them for that almost as much as I did for their moments of transcendence. 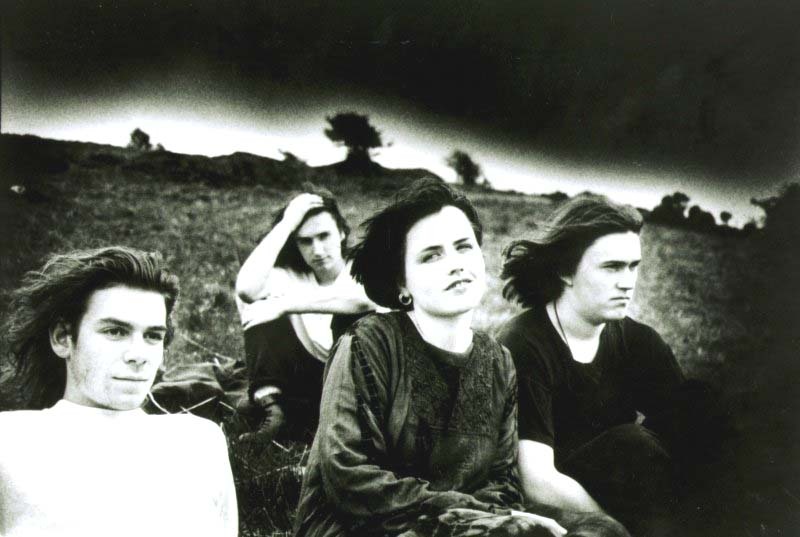 The Cranberries were a weird, awkward band with a weird, awkward lead singer, and they accompanied me through my years as a weird, awkward teen. I still love them. You will be missed, Dolores. Rest in peace. She was no Adele or Annie Lennox, but, God, she had my heart.